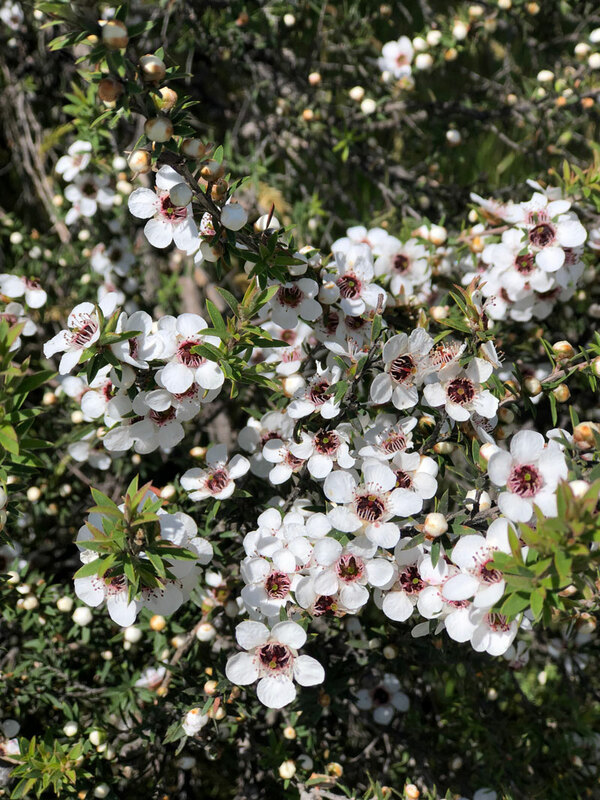 Our stunning New Zealand Manuka trees are currently in full flower. 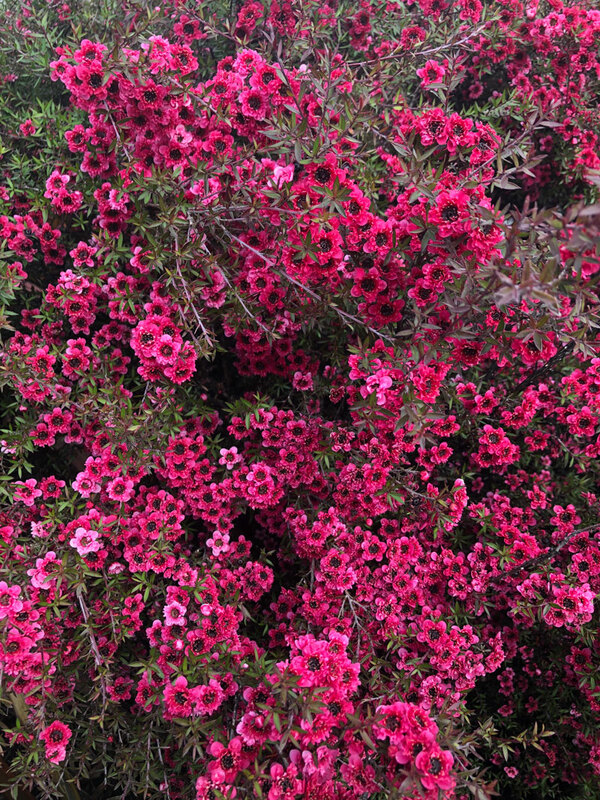 Manuka (Leptospermum scoparium) flowers for 2-6 weeks in either beautiful pink or white flowers. The busy honey bees collect the nectar from the flowers to produce our authentic pure premium Bella New Zealand Manuka Honey. How do MGO and UMF compare? UMF® stands for Unique Mānuka Factor, an internationally recognised quality trademark that guarantees the quality and purity of New Zealand Mānuka honey. Bella New Zealand Manuka Honey is a licensed member of the UMFHA (Unique Mānuka Factor Honey Association), an independent organisation set up to protect the integrity of Mānuka honey, which assure consumers that they are buying genuine, high quality Mānuka honey from New Zealand. As Bella New Zealand Manuka Honey meets the high standards required by the UMFHA, we are permitted to use both the UMF® trademark and the UMF® scale. Most importantly, the UMF® trademark helps to distinguish real authentic Mānuka honey from the many counterfeit products available. The UMF Honey Association requires members to participate in a strict high-quality testing regime, in accredited laboratories, that covers the distinct chemical markers found in Mānuka honey. The UMF Honey Association itself performs random sampling to ensure that Mānuka honey is certified, compliant, true to label and can be trusted. A higher concentration of these chemical markers results in a higher UMF® rating, for example our most premium product, UMF® 20+. Our membership of the UMFHA is the most reliable way for consumers to have peace of mind that they are buying true, pure, authentic New Zealand Mānuka honey. Every batch of Bella New Zealand Manuka is independently analysed and certified for purity, quality and authenticity by the UMF Honey Association. Bella New Zealand Manuka Honey is UMF® certified, and is available in UMF® 5+, UMF® 10+, UMF® 15+, and UMF® 20+. How does the UMF rating compare to MGO™? We cannot guarantee the accuracy of other systems of measuring Mānuka honey. The UMF® scale and testing is considerably more comprehensive. We’re pleased to announce that customers can now pay with WeChat Pay, Alipay, and PayEase for online banking. These payment methods will be especially familiar to our Chinese customers, both in New Zealand and abroad. As usual, we still also accept Visa and MasterCard worldwide. Welcome to our offical blog, where we will post updates, news, and general information about our honey and Manuka honey in general. Feel free to leave comments on our posts, otherwise email info@bellanewzealandhoney.nz to get in touch directly.